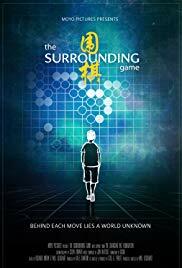 The Surrounding Game focuses on an ancient east Asian game that has changed little since its inception 2500 years ago. It is an in-depth strategy game and the object of it seems easy. The player with the black and the player with the white surround each others stones trying to gain advantage over the other player as well as take up the most spaces on the board. This is just the simple explanation but to watch The Surrounding Game as I did on Netflix, the game shows it is far from simple. The documentary shares the game’s history, how players gained status in Japan, China, and Korea and even earned money playing Go. Each country has slightly different rules more of them are the same than not. In the United States associations playing Go are very small and at the time of the filming in 2012 and going to 2015; only a little over 2000 people played. In addition to the above, the viewer gets to know four Go players Andy Liu, Michael Chen, Ben Lockhart, and Gansheng Shi. Each avid player shares his enthusiasm and desire for the game, how it holds their full attention, and makes them think deeper not only about strategy but so many other things as well. Further for these Go players and others who wish to go pro especially in the Asian countries, education ends at age 6. While the American Go players went further in their education; each of them either postponed more schooling or stopped altogether to play Go full time. I enjoyed watching this documentary and although it explained a game that I have known about but knew little of, I think I will remain a spectator and leave the game to the likes of true Go players.